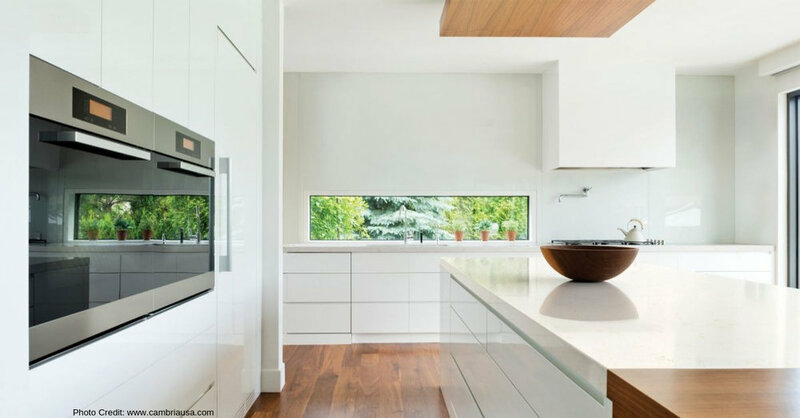 Kalli George Interiors Toronto | Interior Decorator — Planning A Home Improvement Project? Remember - It's Personal! I recently met with a client planning to renovate his Toronto Lakeshore condo. His bright unit was looking a little tired. Despite the gorgeous view of Lake Ontario, it was hard to overlook the dated kitchen and interesting bathroom layout. This homeowner was contemplating ambitious changes - a complete kitchen renovation, a bathroom remodel, new flooring, furniture, lighting and the list goes on. A complete renovation of an 800sq ft. condo that’s seen better days. He emailed me a few days later to let me know he was moving forward with the home renovation. Unfortunately, he was concerned about costs so he would let his general contractor make all the decisions. What would I have done if the client had called with better news? Let me break it down. “Why a floor plan”….you ask? Because sometimes it’s good to look at things with a fresh pair of eyes. And sometimes, you can’t see it until it’s on paper. does it make sense to combine the two closets and relocate the access to the bathroom? does it make sense to enlarge the kitchen and by extension the island? does it make sense to close the door to the bedroom from the kitchen and add corner sliding doors to the bedroom? does it make sense to add cabinetry in the corner of the unit to create a unified office space? does it make sense to divide the huge pantry into a hall closet and a smaller pantry? Creating a scaled floor plan of the existing space will provide me and the client with an overview of what is possible. I would recommend we begin with the kitchen. As I outline the next steps, you’ll see why I’m bypassing flooring altogether at this point. You see the kitchen as soon as you come through the front door, so it sets the tone for the rest of the unit. It would make sense to create flow. Intertwine the colours, materials and finishes as well as style throughout the unit in general. It’s about creating a feeling that seamlessly ebbs and flows from one room to the next. First order of business - appliances! It is far easier to build a kitchen around them than try to find appliances to fit your cabinetry configuration. European or North American sizes? European brands are slimmer. North American brands have caught on and now offer ‘condo size’ appliance. It really depends on your needs and the size of your space. Bonus - the slimmer version allows for more or wider cabinetry. No upper cabinetry! Where possible create floor to ceiling cabinetry and eliminate the need for smaller wall cabinets. Ok-now for opening them. Touch would make sense and make for a cleaner look. However, this space needs light. The lighting is not dispersed efficiently throughout the unit, so we need the light from the drop ceiling to bounce off shiny surfaces. We have the faucet, but we need more. I’m thinking sleek cabinet hardware – long and angular. One colour or two? Definitely – 2. The client had curated images of kitchens he liked. They varied from high-end boutique/club to a touch of industrial. To remain with one light colour would make for a milquetoast kitchen. Too dark and it would make that end of the unit unbalanced and heavy to the eye. A 2-tone kitchen would create the necessary balance. The countertop – I am not going to say limitless or countless options, but we do have quite a few choices. I am picturing a very angular countertop with mitered edges and 3cm height. Although I like the look of complementary countertops in the kitchen, I wouldn’t do it here. Same countertop on both banks of cabinet and carried up the backsplash wall. Remember – no upper cabinetry therefore, the quartz slab is a cool feature. The client is envisioning no formal dining area. Instead, he’d like something more informal like eating/dining at the end of the island. Avoiding any unsightly cuts to the stone, we’re sticking to 12’-0” length. 4’-0” devoted to dining and the rest to place the oven and the remaining floor cabinetry. The darker cabinet colour will be our starting point for flooring. The kitchen cabinetry colour and hardware will influence the bathroom cabinetry. Next installment – the bathroom. My debate with the client over a walk in or step in shower during the consultation. Let’s talk next week. In the meantime, if you’re planning a renovation I’d love to meet with you and have that conversation about your space. No matter how busy you are, your home is far too personal to leave all the decisions to someone else.